Melanie Courville, CEO of Victory Addiction Treatment Center, has an extensive history not only in behavioral healthcare but in the community of Lafayette. Melanie was born and raised in New Iberia, Louisiana, and she is a registered nurse by trade, having graduated in 1986 from the University of Louisiana at Lafayette with a B.S. in Nursing. Eleven years sober, Melanie is dedicated to providing quality addiction to the community she calls home. Her work experience includes 18 years of both staff and management positions with Our Lady of Lourdes Regional Medical Center in Lafayette, LA, and St. Luke’s Episcopal Hospital in Houston, TX. 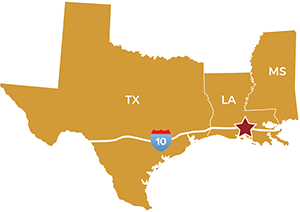 Most recently, Melanie held the position of CEO for Acadiana Addiction Center in Lafayette, LA, where she began as a nurse shortly after its opening in 2004. Melanie’s clinical experience, combined with her substance abuse background, enhances her ability to ensure Victory Addiction Recovery Centers mission to provide the best substance abuse services possible, while helping move our community forward. Melanie is a CEO who successfully leads the members of the Victory team with compassion, experience and training. She continually emphasizes the need to provide the best in client care. Kerri is licensed as a clinical social worker and addictions counselor and serves as the Program Director for Victory Addiction Recovery Center. She received her master’s degree in social work from Louisiana State University. She has almost 15 years of experience in substance abuse treatment, starting off as a primary counselor and then moving her way up to program director for Acadiana Addiction Center and Belle of the Oaks. In 2009, Kerri started her own private practice and, three years later, was a consultant who assisted in building the Victory program. 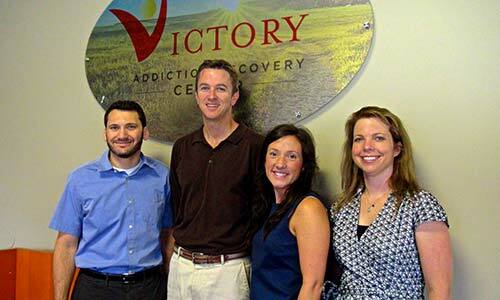 Kerri was hired on as program director at Victory Addiction Recovery Center in October 2014. She specializes in Dialectical Behavioral Therapy, EMDR, interventions, and trauma counseling. In 2014, Kerri was selected by Governor Bobby Jindal as a commission member for the Louisiana Council on Addictive Disorders. In 2017, she was appointed by John Bel Edwards to the Addictive Disorder Regulatory Authority. Nicole has 15 years of experience in staff and management positions with an Associates Degree in Nursing from LSU-Eunice. She’s worked in substance abuse and co-occurring treatment since 2012. Prior to Victory, Nicole served as the director of nursing for Townsend Recovery and a staff nurse at Women’s and Children’s in Lafayette, LA. Nicole is passionate about this work and providing quality patient care to all she serves. Nicole is dedicated to the clients and families that are affected by this disease. She is married with two kids. Adrienne has 14 years of experience in business management and medical billing. Prior to Victory, she worked at two other psychiatric and addiction treatment centers in Acadiana. She graduated with AS from Remington College and attended the University of Louisiana at Lafayette. Adrienne was born and raised right here in Acadiana and is married with one child. Crystal has over 15 years of experience working in the mental and behavioral healthcare industry. She received her bachelor’s degree in psychology from the University of Louisiana at Lafayette and obtained Certification in Addiction Counseling through Louisiana Addictive Disorder Regulatory Authority (ADRA). She is a member of the National Association for Alcoholism and Drug Abuse Counselors and Louisiana Addiction Counselor and Trainers. Crystal’s professional career began as an outpatient substance abuse counselor and case manager, then quickly moved into leadership positions. Prior to joining Victory’s team, Crystal served 7 years as the Director of the Assessment and Referral Department for a large prominent psychiatric hospital. If you have any questions or would like to schedule your no-charge assessment, our Intake Coordinators are available 24 hours a day! 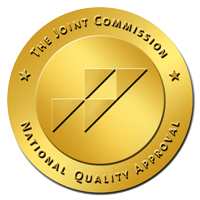 Victory Addiction Recovery Center is accredited by the Joint Commission.